Lunch tours are offered on a variety of dates, a meal is included, whenever possible Allen enjoys visiting with guests and signing autographs. During the tour you will visit Allen’s vegetable garden, the rose garden, the terraced gardens, Poultryville and the animals, the Garden Home, and the eHow Cottage. The entire tour will be comprised of up to 2 miles of walking. The Moss Mountain Farm Gift shop will be open during your visit. A confirmation email will be sent one week prior to your tour date with directions and details on parking. Gates will open 30 minutes prior to your scheduled tour. Cost per person: $96.75 and includes all applicable taxes/fees. For Fall 2019 tours dates click here. For lunch tour gift certificates click here. Please note: Upon purchase, gift certificates will be immediately sent to the indicated recipient via email. 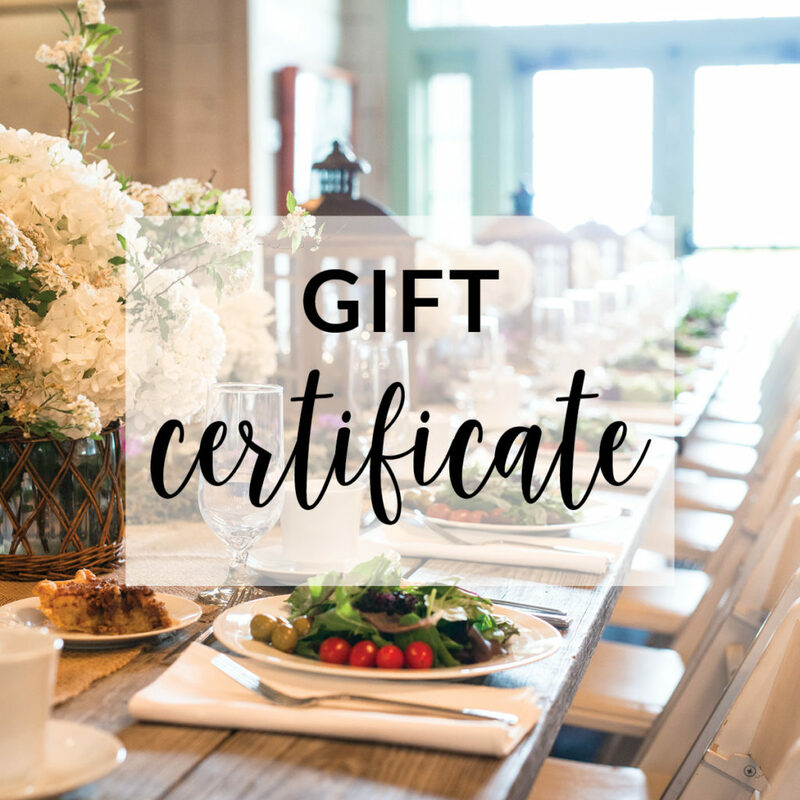 If you would like to present the gift at a different time, we suggest you input your own email in the recipient field, download our gift certificate form, and present it to the recipient at a time of your choosing. Lunch tours are not offered in July and August due to extreme heat. If you have 40 or more guests and would like to schedule a private group tour please contact the Venue Manager at gardenhome@pallensmith.com. Are you bringing a group of 40 or more guests? See our Private Group Tour Page for additional options. Or, if bringing fewer than 40, feel free to join one of our pre-scheduled Lunch Tours. Gates will be open 30 minutes before scheduled tour. Digital or printed ticket is not needed for entry. Your name will be on the list at the registration area located near the restrooms in the parking area. Our cancellation policy is 100% refund if notified 5 days in advance of the tour. After that point, there is no refund or changing to another tour date. Of course, if the farm has to cancel, we will refund 100%. We do not cancel for rain. Bring your umbrella and rubber boots! *Book signings and photo opportunities with P. Allen Smith will only be available if he is in residence at the time of the tour. Wear comfortable walking shoes. There is a lot of walking, but you can do as much or as little as you want. Lunch is included in your day, which is prepared by our chef. If you have food allergies, let us know, we will try our best to accommodate you! From West Little Rock I-430, Hwy 10 West 6.2 miles to a right on Chenal Parkway which becomes Hwy 300 North – drive 10 miles to Monnie Springs, the next right is Ross Hollow Road, turn right. Go 2 miles up the mountain to Moss Mountain farm with white gate and stone guard houses. From Northwest Arkansas, you may want to come across the Arkansas river at Morrilton or Conway. These directions available upon request. For those driving to Moss Mountain Farm, please follow the driveway and signage to the designated parking area behind our black, 4-beam fence. We are happy to accommodate those organizing a group visit arriving by hired or large transportation (bus, coach, van, RV), please see the Venue Manager for arrival instructions. Additionally, we are pleased to assist on hired, central Arkansas transportation option. Capital Hotel in downtown Little Rock boasts service and luxury. This hotel is about 40-45 minutes from the farm. Call 1-501-370-7062 for reservations. 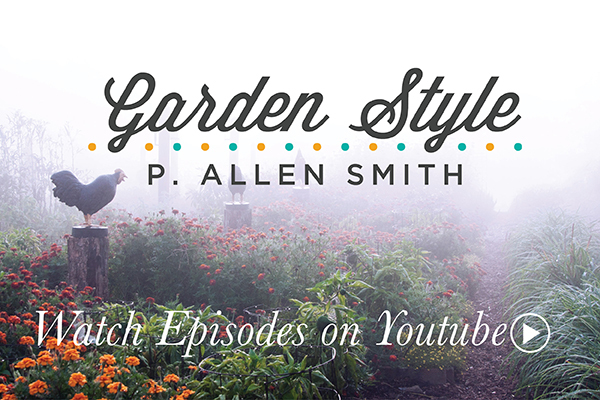 Be sure to mention P. Allen Smith to receive your discount. In West Little Rock, there is a Crown Plaza at 201 S Shackleford Road in Little Rock (we hear rave reviews from guests). This hotel is about 25-30 minutes from the farm. The Empress of Little Rock. She is a mixture of history and elegance served with impeccable style and grace. Their phone number is 501-374-7966. The website TheEmpress.com will give you an overview of their accommodations and rates. Ask for the P. Allen Smith discount at the time of reservation. This facility is about 40-45 minutes from the farm. The Rosemont located at 515 West 15th street, Little Rock. Their phone number is 501-374-7456. The farmhouse was built in 1880 and the out cabins were constructed in 1890. Culture, history and taste all wrapped up in a bed and breakfast. This B&B is about 40-45 minutes from the farm. Maumelle RV Park 501-868-9477 – located on the south side of the Arkansas River, about 20 minutes from the farm.